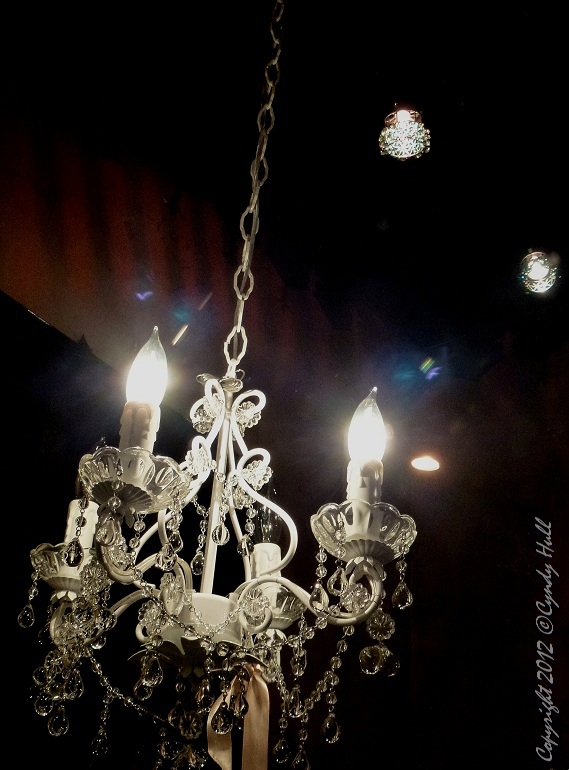 We had a chandelier in the piano room - probably intended as a dining room - of our childhood home. On a sunny day, I would amuse myself by dragging a chair beneath it, then climb up and carefully turn the pendants to catch the light, throwing rainbows willy-nilly on whatever was in their path. It was important to keep an ear alert for my mum's approach because, if she found me thus, it was obvious to her that I had too little to do, and perhaps I should be dusting the intricate chandelier pieces? Yeesh, always with the dusting. But we survived. Wishing you a bright and happy 2013, from our house - & inhabitants - to yours.